Las tres dificultades principales para aplicar la innovación educativa. The holiday season. A time to dabble in festive home decoration, stuff socks with Santa’s presents, spend some quality time with the family, and make those life-changing “new year resolutions”. We all make a few of those (“exercise more”, “learn Chinese”, etc), and we all fail to keep most of them. But why constrain your resolutions to personal things? Here’s a resolution for your business development: “integrate e-learning in my enterprise”. Unlike most personal new year resolutions, this doesn’t take lots of self-control to achieve. With modern LMS platforms like eFront/eFrontPro being so accessible and easy to deploy and use, it’s actually a resolution you can implement in zero time and start seeing the benefits immediately. Take that, Chinese lessons! Getting a new employee up to speed with his new working environment takes time and effort. With an LMS system like eFront you can reduce both. E-learning frees you from having to devote valuable senior employees to do orientation work (with the productivity losses this entails). It’s also more comprehensive compared to informal (face to face) orientation tours that often skip or gloss over some subjects. That, combined with an LMS platform’s detailed reporting and user activity tracking, gives you legal proof that your company provided knowledge of topics such as sexual harassment laws, company policy, etc, to the new hire in case of dispute. It gives you more insight too: tests and exercises (automatically served and graded by the LMS software), can measure a new hire’s understanding of the orientation material. And because it’s always available, your employees can refer back to the orientation material at anytime, even years later, making it also useful as a knowledge base. Sales is a cut-throat business, were you have to always be one step ahead of the competition in order to succeed. You have to know your market. You have to know your customers, existing and potential. You have to know your leads, and how to follow up on them. And, of course, you also have to know what you’re selling. And all of that is a moving target too: new models, new trends, new fads, new technologies and new competitors are constantly rolling in. With e-Learning you can train your sales force methodically, with efficiency, and with fixed costs, whether they are 10 or 10,000 employees. Whether you go with deploying a custom e-Learning solution or signing up for a cloud service, the costs will be about an order of magnitude less than the traditional training costs. E-learning enables your sellers to study at their own pace, either at the office when workload is low or even at home. And if they have to travel to meet possible clients and buyers, they can also study while commuting. Another advantage (and this is far from an exhaustive list), is that e-Learning training material is easily updated. You’ll no longer have to print new sales manuals every time a new product category is created or bring someone in to teach a new technique. You can update your content at any time you want, build a body of training material at your own pace, and grow it as your company grows and its needs change. An advanced LMS platform like eFront makes this easy as pie, even to someone who hasn’t used a learning management system before. If you know how to post a message on Facebook, you have all the skills it takes. There’s a slightly macabre notion in business called the “bus factor”. Would a business survive if its owner was hit by a bus? The problem (besides speeding bus drivers) is not constrained to bosses either, but it’s rather more general: valuable knowledge for running your business is often contained to a single person or at best to a few people in some department. What if those persons are on vacations? Or on a medical leave? Or even worse, what if they quit or have to get fired? Heck, even a promotion would be problematic. If Jill is promoted to another department, who will fix the email server the next time it crashes? An e-Learning solution (*cough* eFront *cough*) can help you store all this information in a formalized and easily accessible way. If you do it thoroughly, the end result would be a complete and detailed description of how your company operates (and, as a bonus, in the process you’ll learn a lot about how your company operates that wasn’t obvious before, because it only existed inside the heads of a few people). Used in this way, an LMS goes one step further than a “Knowledge Retention” system, because you not only get a reference source (available throughout your company), but you can also use all this information to train new employees, or teach existing employees a new role or skill. Isn’t all that enticing? Plus, isn’t it nice to finally have a new year resolution you can easily keep? Happy Holidays, everyone, and keep checking this spot for more e-learning articles, tips and industry opinion. 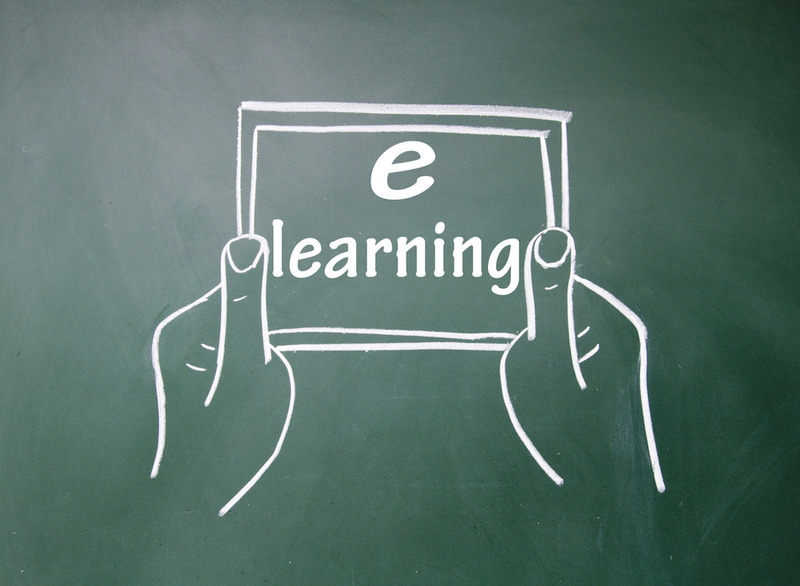 The post 3 Use Cases For Integrating e-Learning In Your Business In 2015 appeared first on eFront Blog. Los cuatro pilares en los que se apoya la innovación educativa. "Europe.. here are the stats. In 2013 there were 403 million unique mobile subscribers which is set to increase to 417 million by 2017. There are 24 countries in Europe with a mobile penetration rate above 100%, and in Eastern Europe an aggregate growth rate of 14.7%. So in Europe when it comes to mobile we’re dealing with a mixed bag depending on which part of the continent we refer to. In the West, a more mature market on the one hand, and in the East, less mature but rapid growth. In Europe we find a different buying behaviour for each country! Consumers buy educational apps, subscribe to mobile learning value added service (VAS) products, and purchase personal learning devices."